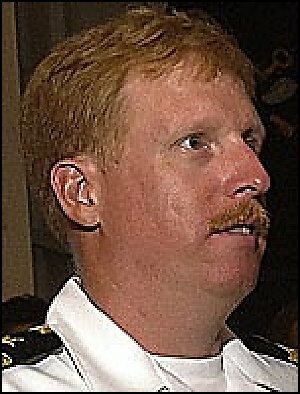 Eric R. Hinger, 44, an Annandale,Virginia, High School graduate who was a Navy Captain, test pilot and battle watch commander with the U.S. Strategic Command, died November 26, 2005, at his home in Omaha after a heart attack. A son of a naval aviator, Captain Hinger was born in Carmel, California, and was raised in a number of cities before his family settled in the Washington area in 1970. He graduated from Annandale High School eight years later and from the Georgia Institute of Technology in 1982. Commissioned an ensign, he served in various assignments with the Carrier Airborne Early Warning Squadron, including with the VAW-121 "Bluetails" unit in the Mediterranean and the Persian Gulf. As a test pilot, he set altitude and speed records in 1991 with the E-2C Hawkeye airborne warning and control system aircraft. At the time, he was stationed at the Naval Air Test Center of the Force Warfare Directorate at Patuxent River Naval Air Station. Captain Hinger, who received a master's degree in military studies from the U.S. Marine Corps Command and Staff College in 1998, was assigned this year to the U.S. Strategic Command's Joint Forces Component Command headquarters for the Space and Global Strike Command at Offutt Air Force Base near Omaha. His military decorations include the Legion of Merit, the Bronze Star and the Meritorious Service Medal. Survivors include his wife, Navy Captain Paula Hubbard Hinger, and their daughter, Megan Hinger, both of Omaha; his parents, retired Navy Commander Carl and Shirley Hinger of Gainesville, Florida; and a sister. Naval aviator Captain Eric Hinger, who set a recognized class record for altitude, died November 26, 2005, of cardiac arrest in Omaha, Nebraska. He was 45. Hinger was the former naval aviation production program manager for the Chief of Naval Air Training at Naval Air Station Corpus Christi. Hinger and his family moved to Omaha in July after being assigned there by the Navy. His wife, Captain Paula Hinger, is the former NAS Corpus Christi commanding officer. "He was a pilot, first and foremost," said NAS Corpus Christi chaplain Bob Torres, who attended the memorial service November 30 along with six other officers. Hinger and Navy Lieutenant Commander Matt Klunder set a recognized class record for altitude with a 1,000-kilogram payload (turboprop aircraft) of 41,253.6 feet in a Grumman E-2C Hawkeye at NAS Patuxent River, Maryland. It's been a tumultuous month for the family with three birthdays within a few days of each other, Torres said. Hinger would have turned 46 on December 14, his daughter turned 12 December 12 and his wife's birthday was December 15. 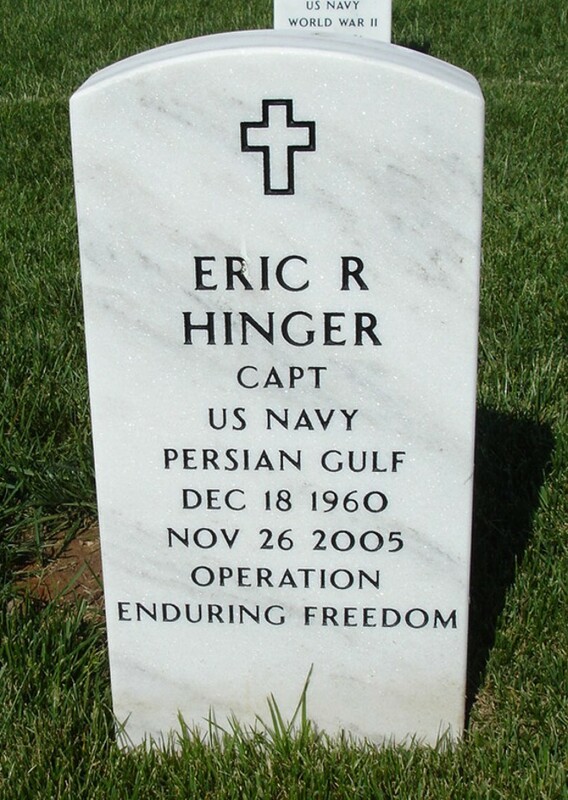 Hinger will be buried December 23,2005, at Arlington National Cemetery. He is survived by his parents, his wife, Paula, and his 12-year-old daughter Megan.